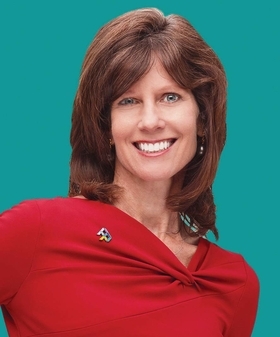 Susan Salka is president and CEO of AMN Healthcare, a large healthcare staffing and workforce solutions company based in San Diego. Healthcare is quickly becoming the dominant employer in the U.S. economy. Of the nation's 10 fastest-growing industries, healthcare sectors account for six of them—and home healthcare leads the way, according to employment projections for 2014-24 released in December from the U.S. Bureau of Labor Statistics. All told, by 2024 the healthcare industry will add 5.2 million jobs, including nearly 1.1 million registered nurses, 1 million technicians and technologists, 311,000 therapists, 290,000 physicians and surgeons, and 78,000 pharmacists. These professions are currently experiencing shortages—which threaten to get worse in the coming decade. Another BLS measurement, the Job Opening and Labor Turnover Survey, shows that at the end of 2015, there were more than 1 million job openings in healthcare, but only about 550,000 hires. The gap of unfilled healthcare jobs has been growing since 2014. The home healthcare industry, a vital component of the transition to value-based patient care, is ramping up at the same time that shortages worsen in the healthcare professions needed for home healthcare to thrive. The BLS report said that the compound annual growth rate for home healthcare services from 2014 to 2024 would be about 5%, the highest among all industries. That will mean more than 760,000 new jobs. Home healthcare will be competing for healthcare professionals in a supercharged environment that's being called a war for talent. Even hospitals, which many thought would be growth-constrained through a shift to outpatient care, are projected to add nearly 400,000 jobs by 2024. The drivers pushing patient demand, led by the Affordable Care Act but also our aging population and other factors, are increasing staffing demand in nearly all parts of the industry. Failure to hire needed staff will threaten the viability of home healthcare services, which in turn can undermine quality gains and healthcare outcomes. A study last year in Health Affairs showed that Medicare home health reduced hospital and nursing home admissions. A 2011 examination by the Joint Commission concluded that home care—the preferred setting among patients—contributes to fewer sentinel events and safety issues. Methods used only a few years ago for staffing home healthcare and other patient-care enterprises may be unsuitable in today's competitive environment. Today, advanced and technology-enabled processes to plan, recruit, manage and train clinical staff are needed. Fortunately, healthcare workforce expertise has progressed in recent years as the need has grown. Precise staff planning is now possible through accurate patient demand forecasting and staff planning, utilizing big data, predictive analytics and advanced labor management techniques. The analytics-driven approach that powers clinical recruitment today does not remotely resemble the Rolodex, e-mail and phone recruiting of a decade ago. Sophisticated solutions that were once used only in tech industries are now widely available in healthcare. Home healthcare competes for talent in the same candidate pool as every other healthcare industry. But its needs are different. Candidates must be found who have experience in this particular field or receive training so they can be immediately productive. Rapid expansion will require staffing flexibility, including the right mix of permanent and temporary staffing; effectively managing such a staffing mix requires a high level of healthcare workforce expertise. In this growing industry, effective staff planning must be based on accurate forecasting of future patient demand. Home healthcare agencies are encountering a growing senior population with an increasing burden of chronic illness to treat. They need to show quality-of-care improvements and better patient outcomes at the same time that they're working to control costs and find efficiencies. For any healthcare enterprise, maintaining a skilled workforce in an increasingly competitive marketplace for healthcare professionals will be exacting. The home healthcare industry is integral to realizing the triple aim of healthcare reform—improving the patient experience, improving population health and containing costs. Amid a war for talent, all providers face challenges to achieve that mission.